Pathfinder Services of ND is the Parent Training and Information Center (PTI) for the state of North Dakota. Every state has at least one Parent Center, designated and funded by the U.S. Department of Education, Office of Special Education Programs (OSEP). Parents receive coordinated and accessible technical assistance and information to assist them in improving early intervention, educational, and transitional services and results for their children and families. 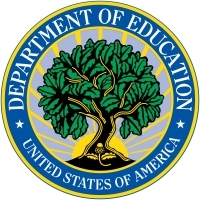 To learn more, visit the U.S. Department of Education's page on the program.